When you start on a low carb diet, you soon realize how addicted you are to bread. That’s when you turn to recipes like cloud bread. It’s like bread methadone. Unfortunately, just like actual methadone, it is not nearly as good as the real thing. For real low carb bread, you’ll need to break out the vital wheat gluten, the yeast, and all your nut flours. But if you just want the feel of bread, then this is the recipe to reach for. There are a lot of recipes for cloud bread out there, but the one I found most useful was from the Sugar-Free Mom. Her cloud bread is made using eggs, sour cream and whey protein powder. The cloud-like quality of the bread comes from whipping the egg whites and then folding them gently into the yolks, sour cream and whey powder. The result is a fluffy but somewhat flimsy slice that is best eaten toasted or made into french toast. Mmmmm. French Toast. Now that is as good as heroin. This low carb cloud bread has just 2g net carbs per slice. It’s a great low carb bread substitute. 2. Using an electric mixer, whip the egg whites and cream of tartar until stiff peaks form. 3. Combine the egg yolks, sour cream, baking powder, salt and protein powder in a medium sized bowl. 4. Fold the egg whites into the yolk mixture a little at a time until it’s all incorporated. 5. Pour the mixture into a greased loaf pan*. 6. Bake on the middle shelf of oven for 50- 60 minutes or until a toothpick in the center comes out clean. 7. Allow to cool before removing from the pan and slicing. 8. Store in the refrigerator. *This recipe can also be used to make 8 rolls. Portion out the batter into bun sized dollops on a parchment covered coolie sheet and bake for 20-30 minutes. If you liked this low carb bread, then you might be interested in my recipes for Rye Yeast Bread, Monkey Bread or Tomato Herb Focaccia. This is one of the better versions of cloud bread that I’ve tried. Good recipe. Thanks! The secret is protein powder. 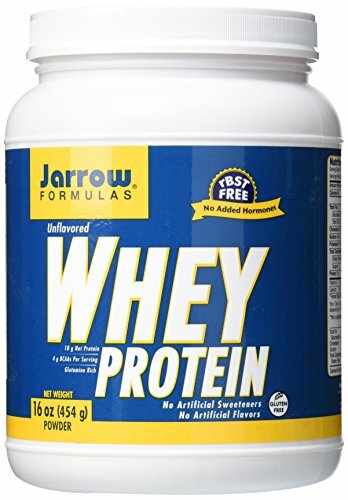 I can’t do whey, would I be able to sub for another protein powder? I make my own low carb bread almost every day because I am on a low . carb, no grain, no sugar, no dairy except butter from grass fed cows is ok. I can also consume honey or maple syrup. Am in the process of killing my Lymes disease with antigens. I plan on trying the whey protein with my recipe that also uses 6 eggs, coconut flour and/or almond flour, some salt & a 1/4 tsp. cream of tartar. Whipping the whites also . … and folding into the yolks, flour & tartar. I do the salt to taste as it’s kind of an individual thing. I bake in loaf pan, 375 deg. for about half hour, more of less depending on your oven. I like my bread browned more so leave it in the oven 35 min. Will try the sour cream/dairy items/ when my extreme fatigue subsides …almost. It’s the food you consume that can make or break your Lymes…AND….the supplements you take from a knowledgeable Lyme Literate!!!!!!!!!!! doctor.